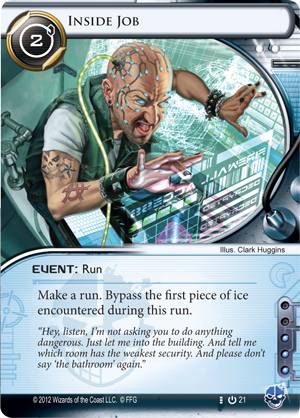 Android: Netrunner is a two-player card game of tense, high-stakes cyberstruggles waged between the world's wealthiest megacorps and a small number of elite hackers known as runners. 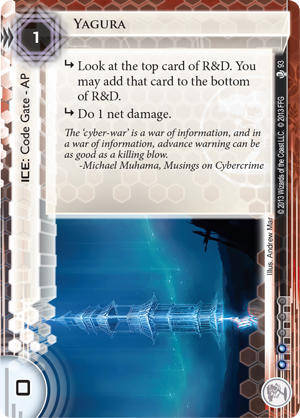 To protect their most valuable data from the runners that threaten to steal it, Corp players shield their servers with layers of security programs known as "ice." These ice offer a wide range of defenses. Some are simple barriers. 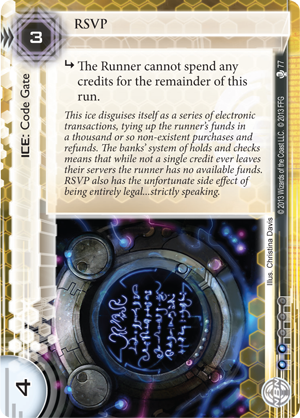 Some tax the Runner to discourage future hacks. Some are more aggressive and may cause damage to those runners who encounter them. There’s a dirty little secret that your precious sysops are not telling you, my friend. 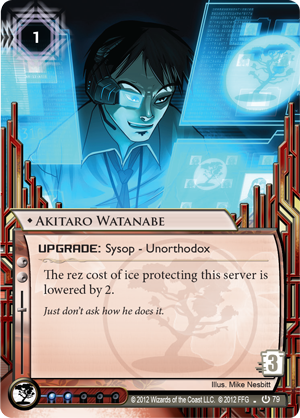 The next time you see a character like Akitaro Watanabe (Core Set, 79) touting his R&D's latest state-of-the-art ice, keep one thing in mind: The subroutines on that ice? They will rarely fire more than once. 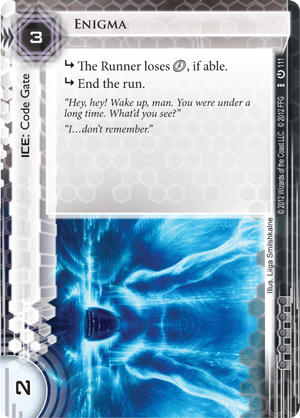 In fact, against the top-notch runners out there, months could pass, and you'd never see the resolution of a single subroutine. That expensive Flare (Future Proof, 117) you installed over HQ? That NEXT Gold (The Valley, 11) you hoped would punish the next runner hoping to seize the advertising assets in your remote server? Forget about them. Wipe that grin off your face. Not going to happen, amigo. 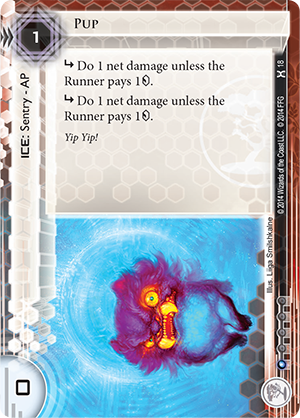 When those runners come knocking, your fancy-pancy ice isn't even going to tickle their rig. They will smash through it as if it were a Paper Wall (Mala Tempora, 59), steal your agendas, trash your ambushes straight off R&D, and probably run an Emergency Shutdown (Cyber Exodus, 43) protocol to derez that big wall you thought would shelter your all-important plans for a Government Takeover (Order and Chaos, 6). I can see that you’re starting a dial procedure on your PAD. Probably to sack a bunch of minions for all of the lies they have told you. Right? Well, I'm here to tell you to chill, hombre. Chill! You got me in here now. There’s a reason my firm isn't aligned with any of the big corps that are out there selling you the "latest and greatest" security protocols. It’s because I’m on your side. I will always be honest with you, unlike those developers who'd have you believe their latest ice designs are going to work some holy wonders. That’s why I charge so much. Service with a smile, eh? Don't get suckered. “The truth will set you free.” That’s my motto. Here’s the scoop: good runners are always well-prepared. 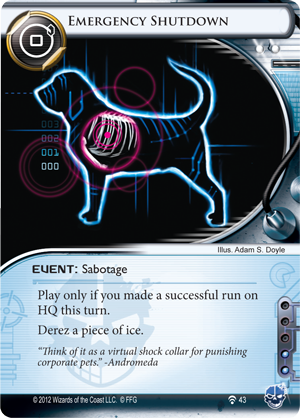 They might not know all the pieces of ice in the market, some of them probably can't even separate their Pups (Honor and Profit, 18) from their Pop-up Windows (Cyber Exodus, 56). But they do understand code very, very well. 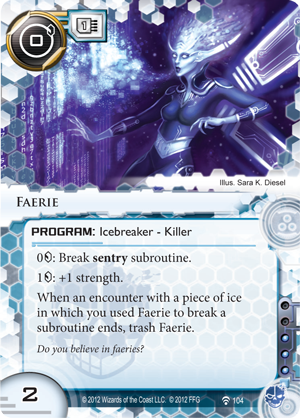 They know that a sentry such as Cortex Lock (The Valley, 14) could mess up their day even before breakfast so they install a cheap killer like a Faerie (Future Proof, 104) while they're stirring their coffee. 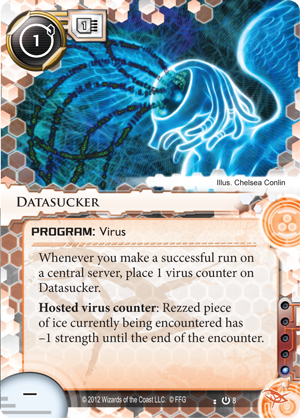 They recognize that barriers rarely do more than end a run, so they'll keep their fracters safely tucked in their stack or grip until your servers are charted and their major threats are fully revealed. Let me tell you, buddy, a top-notch runner will always have a plan. 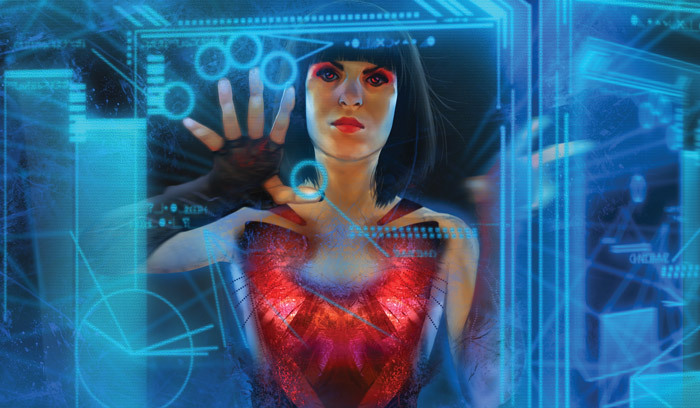 If nothing else, she'll have a Self-modifying Code (Creation and Control, 46) at the ready, along with a nice, liquid string of credit. She will summon whatever solution she needs at a moment’s notice. Your ice is never impenetrable. It’s just a puzzle. One that the best runners will always find some way to solve. Hey, did you notice? There's a blinking light on the terminal behind you. Looks like someone out there is messing with your systems as we speak. Do we need to adjourn? No? Okay. In that case, I have some good news, my friend! 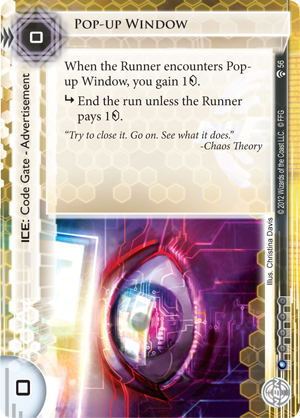 Since runners avoid subroutines like the plague, you have an opportunity to make some great deals. Some ice feature abilities that work like subroutines but that aren't subroutines. 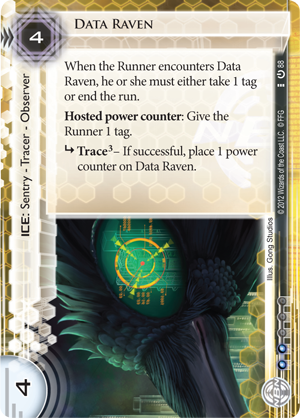 Data Raven (Core Set, 88)? What a bargain you have in this little gem! While it’s doesn't officially sport an end-the-run subroutine, the mere threat of the tag it can deliver is usually enough to buy you some time for an agenda score. 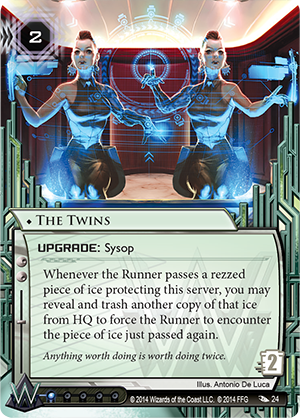 Meanwhile, there's a lot of value, too, in ice that cost the runner more to break than it costs you to install and rez. Yagura (Fear and Loathing, 93) is a tidy, little, two-subroutine code gate that can serve as an efficient deterrent on your central servers. Install it, and you force the runner to fetch a decoder and tax him for a couple of credits. 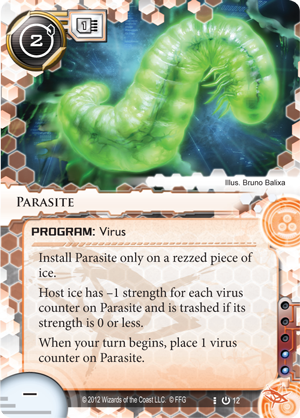 Unless he drops a Parasite (Core Set, 12) on it, of course. That’s a different horror story. 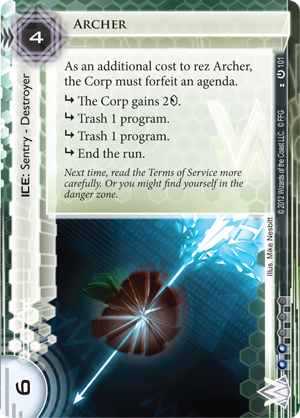 Other cheap positional ice such as RSVP (True Colors, 77) could convince an interloper to turn back and seek better breakers before trying your servers again. 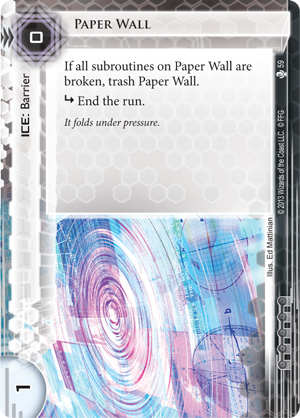 End the run subroutines may be great in limited circumstances, but they're often expensive. You have to spend your credits wisely, amigo. You can get more out of your credits through other means. Hey, pal, should you ask your Eve for a glass of water? You seem uncomfortable. You really might want to take care of that business behind you; the blinking light has become a full-blown warning message. Flashing red on your screen. No? You're good? All right. Your call. Let’s move forward with this little conversation of ours. 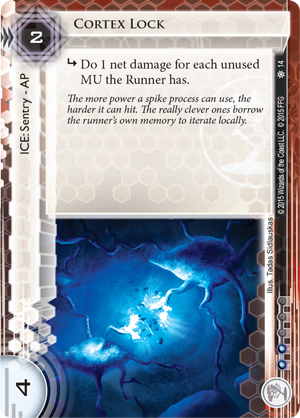 You know how I told you that the best runners are always prepared and the layers of your ice are just a puzzle for them to solve? Well, that's true, but there's more to the story than that. This is where you get the next bit of good news. Time is always a concern. Apply enough pressure in the right places, and the runner might get panicked. She might think her big, fat paycheck is about to slip away, and she'll take some risks. She might start to “facecheck” your ice; that's when a runner jacks-in before she's fully prepared. You want an example of how to create the right sort of pressure? 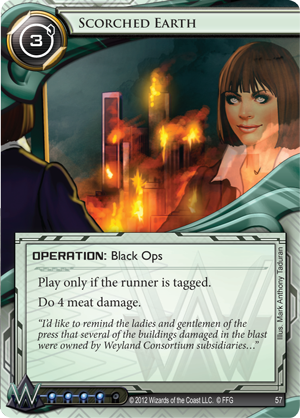 Well, the heads of the Weyland Consortium are masters of these tactics. They'll install something into one of their remote servers and advance it, then advance it again. What's in that remote? 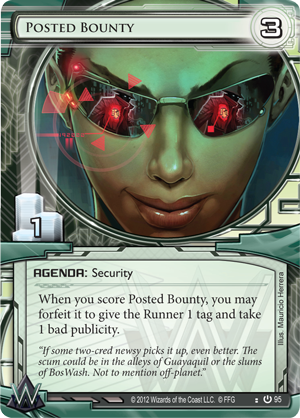 Could it be a Posted Bounty (Core Set, 95) with the runner's name on it? 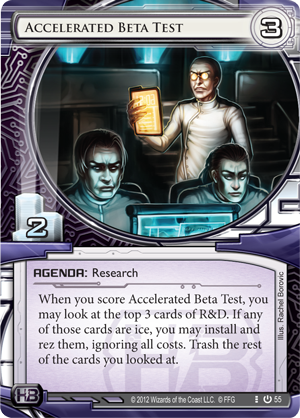 If so, rumors are it would likely be followed by some Scorched Earth (Core Set, 99) and a flatline. Well, the mongrel runner will feel compelled to check that server; after all, he's got his Faerie, right? 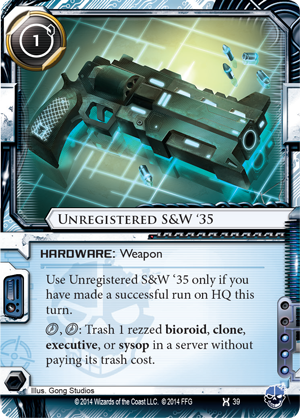 Too bad the remote is defended by a simple Enigma (Core Set, 111). Surprise. You lose. There's another caveat to my earlier argument. If the runner feels she has no choice, she will trigger “soft” subroutines in order to burrow into your servers. For example, if it looks like you're about to wrap up all your agendas, the runner will realize she's fast running out of time to steal them for profit. She'll start making hasty runs. 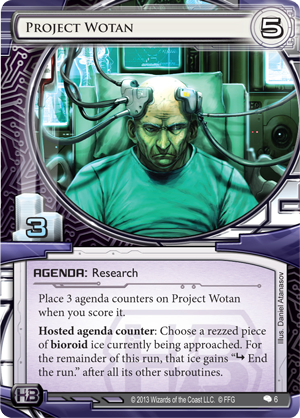 If you were Haas-Bioroid and had wrapped up production on an Accelerated Beta Test (Core Set, 55) and Project Wotan (Creation and Control, 6), and if your R&D were fueled with Biotic Labor (Core Set, 59), you’d be just about ready to wrap up your day. This is when you'll find a runner starts stressing and racing at your servers, even if the cost is triggering subroutines that don't end the run, over and over. Greedy runners will take the blows, but they'll still access whatever you've got because it could always be that last agenda they need. 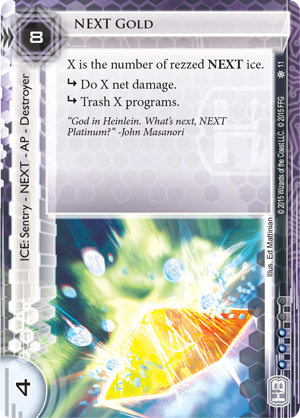 So you've got to perform a balancing act: Find the right mix of cheap, “soft” ice and ice with subroutines that will end a run. You know, all of this talking is straining my throat. Would you mind having your Eve fetch us a carafe, after all? Here’s another ray of sunshine. There are other ways to jump through some hoops and force a subroutine. 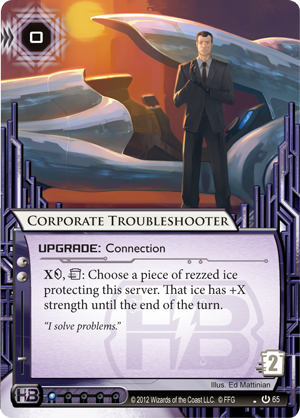 For the right price, a veritable army of Corporate Troubleshooters (Core Set, 65) stand at the ready, prepared to supercharge your nastiest piece of ice. 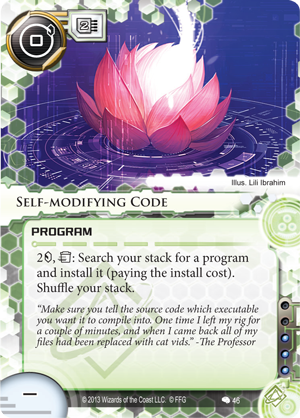 "Hey, you sham of a hacker, that Datasucker (Core Set, 8) of yours is mighty fancy, but I doubt you charged it high enough to get you through a super-strength Archer (Core Set, 101)." More complicated means also exist. 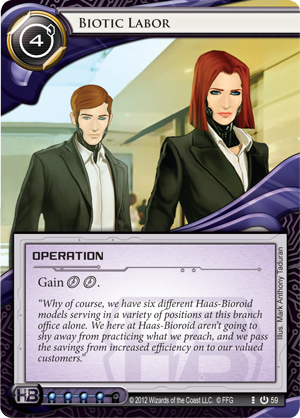 The Twins (Order and Chaos, 24) are probably the most effective sysops out there. They’re extravagant and require advance notice, but they can catch the runner completely unaware; their magic is a wonder to behold. The important thing is that even a full rig and a loaded account are sometimes not enough to stop your precious ice from firing. Well, fear not, for once again, I have good news. You don’t worry about losing your job. You don't need to worry about anything, Mr. Executive Big-shot, all thanks to my Unregistered S&W '35 (Honor and Profit, 39), here. He’s going to fix all of your problems. Meanwhile, I have a colleague on Mars that wants to know more about that failed Government Takeover of yours. Inside Job? Yep, that's something that every Corp player should know to expect from the game's Criminals. What will you do about it? Get informed. Learn about your enemies. Don't let that executive's fate become your own! 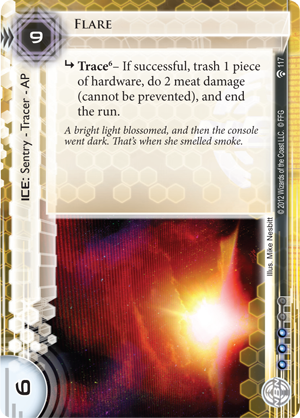 If you're new to Android: Netrunner, be sure to check out our series of faction overview articles: Anarch, Jinteki, Shaper, Weyland Consortium, NBN, and Criminal. 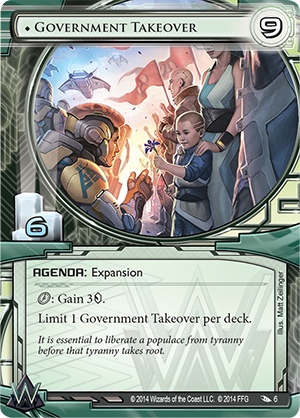 El-ad and a number of other contributors, including two World Champions, offer their insights into each faction's strengths and weaknesses, giving you an idea of what you may face.